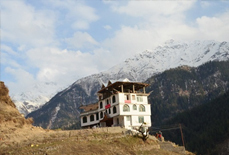 Positioned in the Kinnaur District in the beautiful state of Himachal Pradesh, Sangla is a scenic town located in the Sangla Valley. 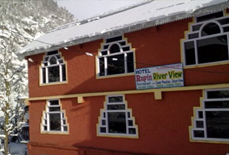 With River Baspa flowing through it, Sangla is undoubtedly an enchantment galore. 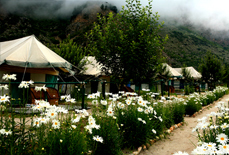 Tucked away in the beautiful folds oh Himalayas, this region is flanked by snow-laden peaks and breathtaking panoramas. 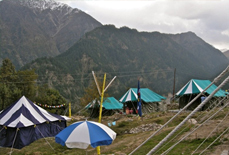 Sangla also offers enchanting trekking option to adrenaline junkies. 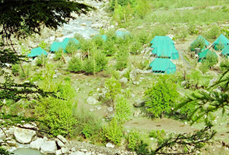 To savor its natural beauty and trekking opportunities, scores of tourists visit Sangla from all over the country. 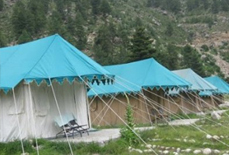 To serve these travelers with a snug stay, there are lots of comfortable hotels & resorts in Sangla. 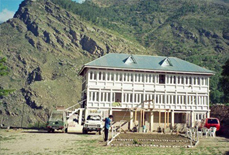 The hotels & resorts in Sangla are well known for warm hospitality and tenderhearted staffs. These hotels offer a range of first-rate amenities. Most of these hotels offer room service making the stay relaxing and regal. The meticulously designed rooms of these hotels are spacious and airy. 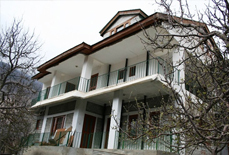 These rooms are well laid with topnotch amenities and fine furnishings. One can relish the beautiful panoramas of outside through the windows of these rooms. 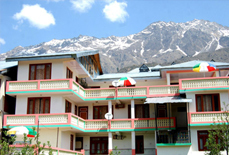 Ranging from deluxe to budget hotels, Sangla offers ideal accommodation option to every tourist. 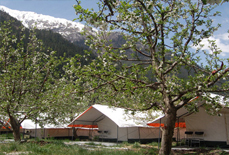 Tour My India is the best place to book a hotel in Sangla. 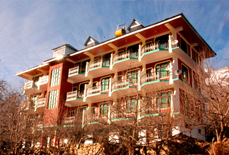 Contact us and ensure a hassle free and affordable bookings of hotel.